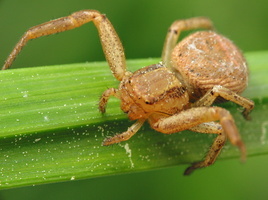 EN · crab spider DE · Krabbenspinnen PL · ukośnikowate RU · пауки-бокоходы, неравноногие бокоходы, пауки-крабы, крабовые пауки They are called crab spiders because they resemble crabs, with two front pairs of legs angled outward and bodies that are flattened and often angular. 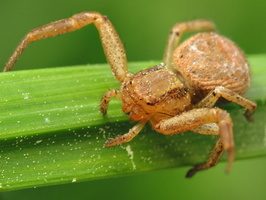 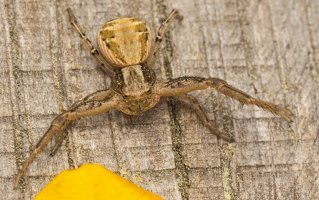 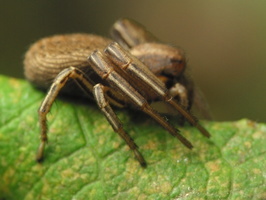 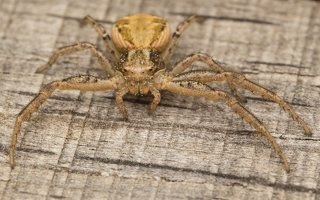 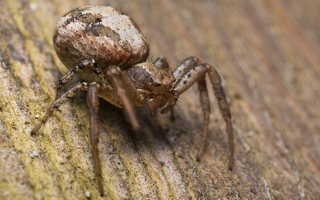 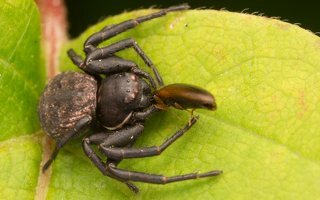 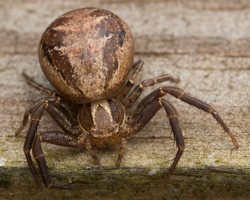 Also, like crabs, Thomisidae can move sideways or backward. 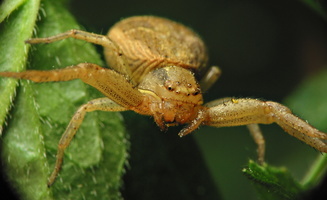 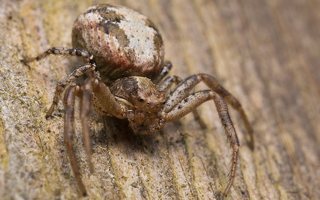 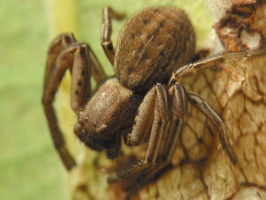 Crab spiders do not build webs to trap prey, but are hunters and ambushers. 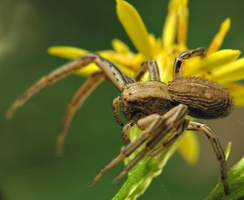 Some species sit on or among flowers, bark, fruit or leaves where they grab visiting insects. 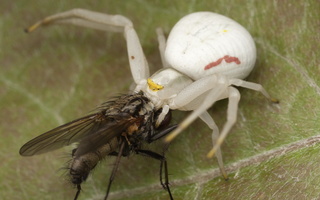 Individuals of some species, such as Misumena vatia, are able to change color between white and yellow to match the flower on which they're sitting. 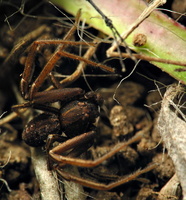 Other species, with their flattened bodies, hunt in the crevices of tree trunks or under loose bark. 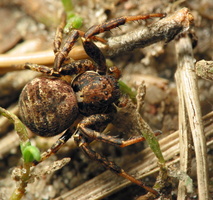 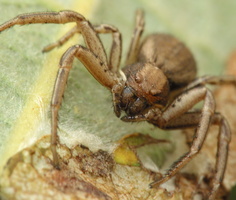 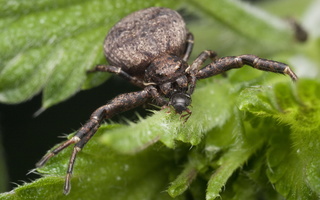 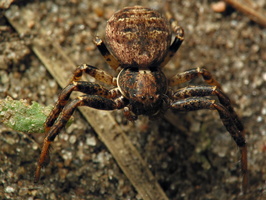 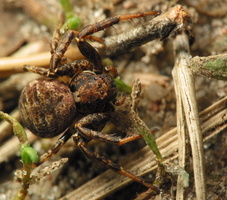 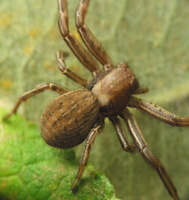 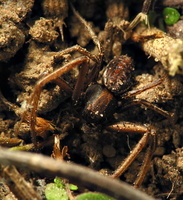 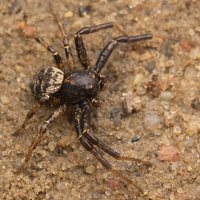 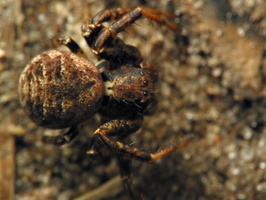 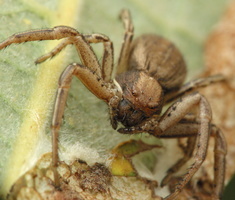 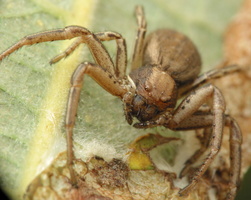 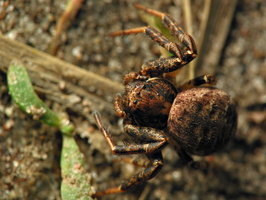 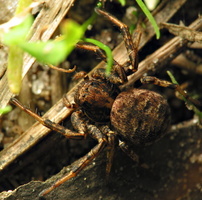 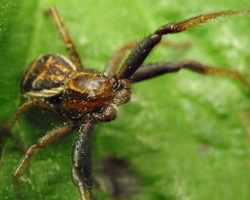 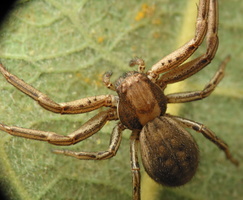 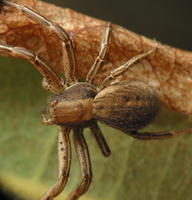 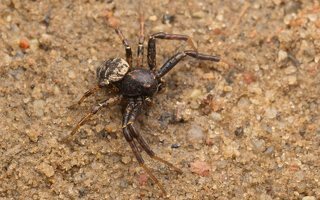 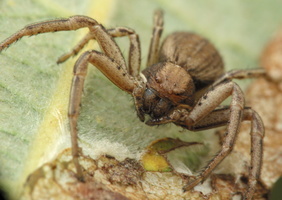 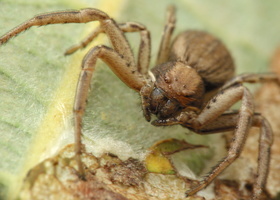 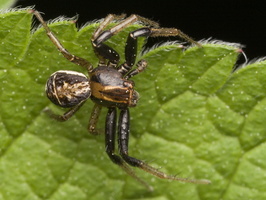 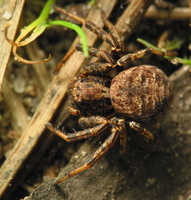 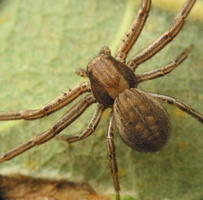 Members of the genus Xysticus hunt in the leaf litter on the ground. 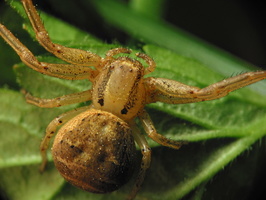 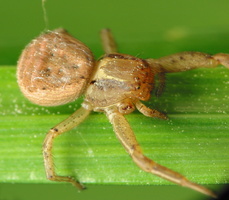 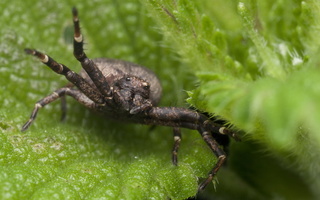 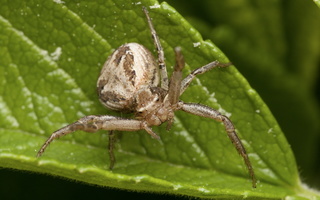 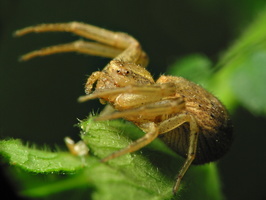 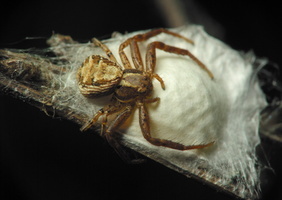 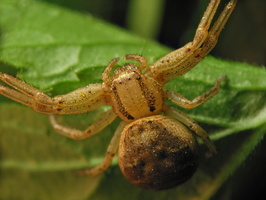 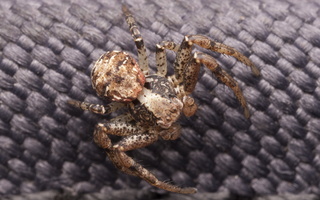 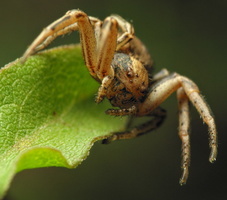 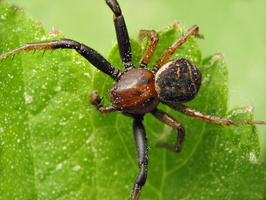 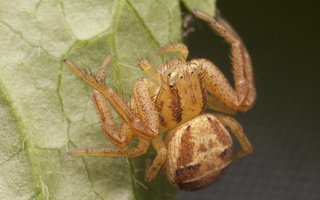 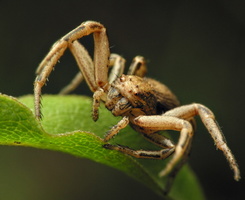 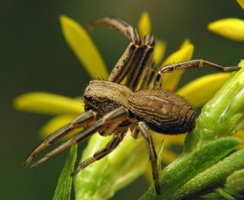 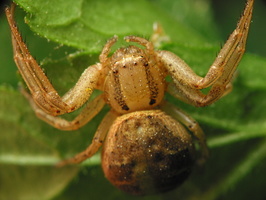 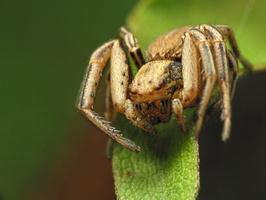 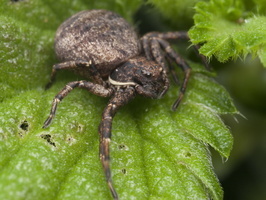 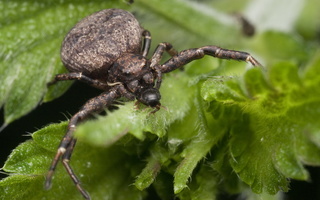 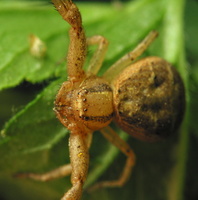 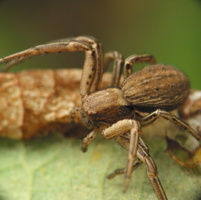 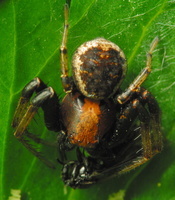 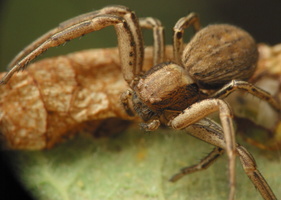 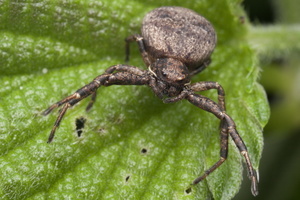 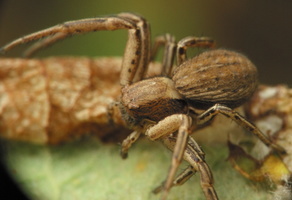 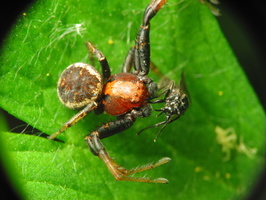 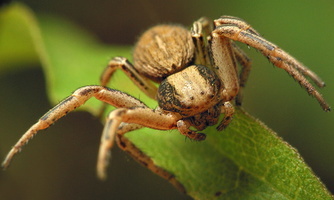 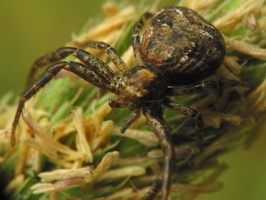 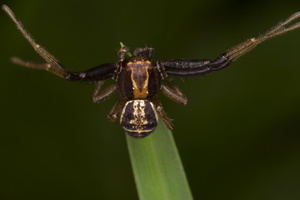 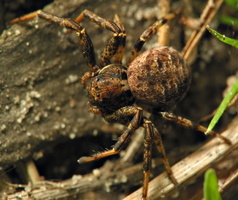 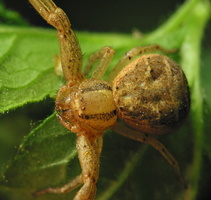 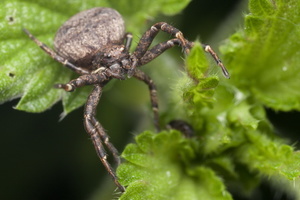 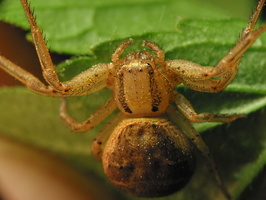 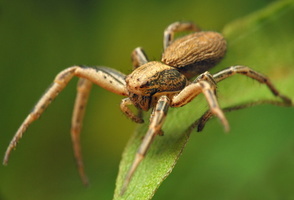 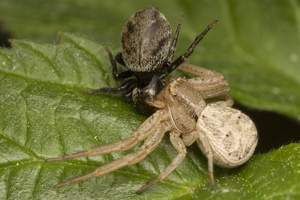 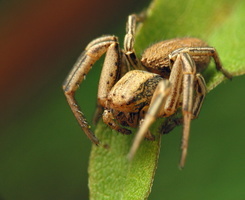 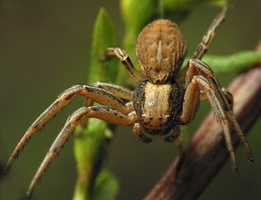 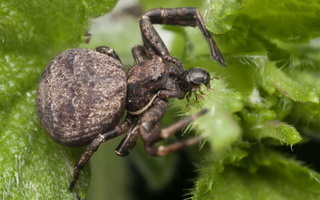 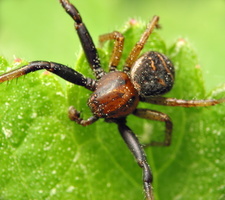 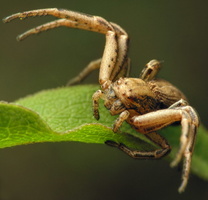 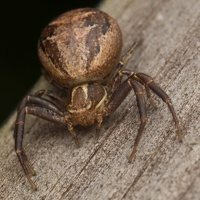 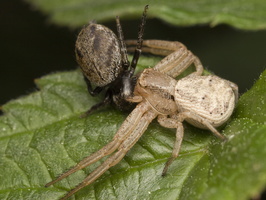 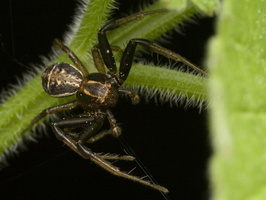 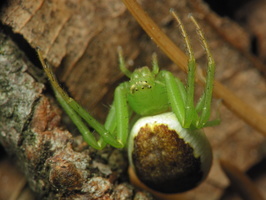 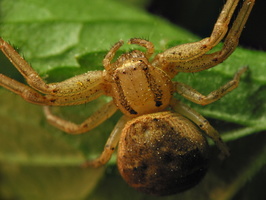 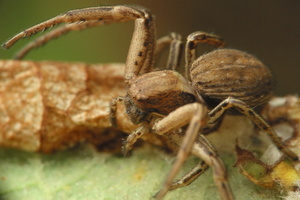 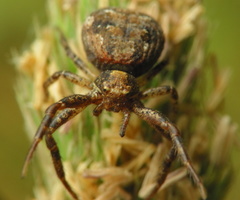 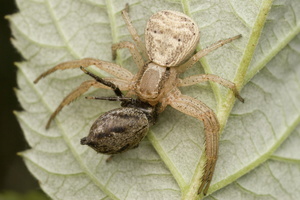 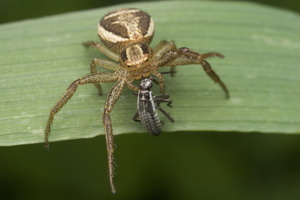 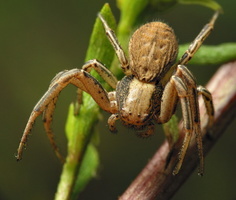 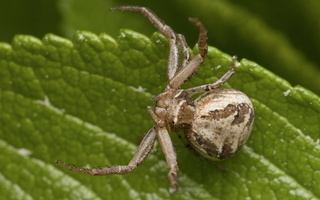 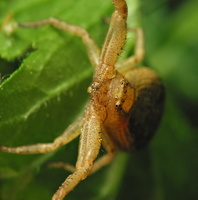 In each case, crab spiders use their powerful front legs to grab and hold onto prey while paralyzing it with a venomous bite.